Boyce Hatton are delighted to announce two promotions within the firm. Boyce Hatton Solicitors has made a trio of partner promotions as it enters its new financial year. The promotions see Kate Barton moving up from salaried partner to equity partner, while Rebecca Holloway and Cheryl Smith move from Associates to become salaried partners at the firm. The appointments take the total number of partners at the – Torbay and South Hams based firm to 12. 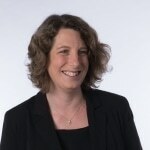 Kate Barton advises on all aspects of family law including children matters, divorce, financial settlements, cohabitation, and prenuptial agreements.. Having qualified and worked in Bristol law firms Kate joined Boyce Hatton in 2005. Kate was instrumental in establishing the Women in Torbay and Totnes network that Boyce Hatton supports and which regularly attracts 40-60 local businesswomen at each meeting. 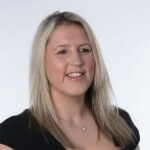 Rebecca Holloway is a Licensed Conveyancer and Head of Residential Conveyancing. Rebecca advises on all aspects of residential property including sales, purchases, mortgages and remortgages, and leasehold arrangements. Joining Boyce Hatton in 2015 Rebecca is the first non-solicitor partner appointment at the firm. Cheryl Smith is a member of the Commercial Property team undertaking a broad variety of commercial work including sales and purchases, lease renewals and assignments, working for both landlords and tenants. 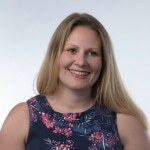 Joining the firm with a law degree in 2003, she qualified as a solicitor at Boyce Hatton and is another of the firm’s trainees to successfully become a partner. The promotions come shortly after the firm also celebrated being named Law Firm of the Year (1-10 partners) at the Devon and Somerset Law Society (DASLS) Legal Awards.